Benzene and butadiene are classed by various organizations as being human carcinogens, meaning they cause cancer or help cancer grow. Benzene side effects include benzene cancer, myelodysplastic syndrome and benzene leukemia, including acute myelogenous leukemia. Benzene lawsuits have been filed by experienced benzene lawyers against the manufacturers of products that pose a benzene cancer risk. Although the US banned benzene as a solvent, benzene litigation is ongoing, with lawsuits filed by plaintiffs who allege they were unreasonably exposed to an increased risk of cancer at their workplace or in their community. Send your Benzene claim to a lawyer who will review your claim at NO COST or obligation. Benzene, or benzol, is a clear, flammable liquid hydrocarbon derived from petroleum. It ranks in the top 20 chemicals for production volume and is found mainly in solvents and degreasers. Benzene is commonly used in the dye, dry cleaning, and petroleum industries and is used to make a wide variety of chemical products, including some types of drugs, rubbers, lubricants, dyes, detergents, pesticides, and motor fuels. Butadiene, like benzene, is a highly flammable, petroleum-based compound that is used to manufacture synthetic rubber, typically used for car tires. Both short and long-term exposure to benzene and butadiene has been shown to cause cancer, particularly rare forms of leukemia. Those forms of leukemia reportedly include acute myelogenous leukemia (AML), acute lymphocytic leukemia (ALL), chronic myelogenous leukemia (CML), acute prolocytic leukemia (APL) and chronic lymphocytic leukemia (CLL). Other conditions linked to benzene exposure include non-Hodgkins lymphoma, myelodysplastic syndrome (MDS) and aplastic anemia. Benzene enters cells and damages DNA material. As well, benzene is known to cause harmful effects on bone marrow and it can cause a decrease in red blood cells, leading to anemia. Women exposed to the chemical can suffer irregular menstrual periods and a decrease in the size of their ovaries. The FDA has regulated these solvents for decades, but workers, populations living near industrial sources of benzene and butadiene emissions, and the general public continue to be exposed these deadly chemicals. Benzene is still present in a number of products, from petroleum solvents to soft drinks. 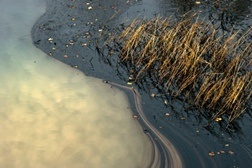 People who worked in fluoro-refineries with organic solvents such as petroleum distillates, aromatic hydrocarbons, detergents, plastics and synthetics and/or fuels (including gasoline, kerosene, diesel fuel and jet fuel) may be at risk of developing acute myelogenous leukemia or myelodysplastic syndrome. Workers in chemical manufacturing plants that utilize Benzene or Butadiene are at highest risk for over-exposure to these Volatile Organic Compounds (VOC). Historically, rubber and tire workers have been more prone to the exposures as these chemicals are commonly used in rubber manufacturing processes. 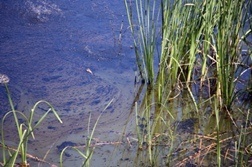 The general population may also be at risk if these chemicals leak into the ground water or are emitted in highly populated areas. In 1987 federal regulators set occupational exposure limits to 1 part per million. Meanwhile, the National Institute for Occupational Safety and Health recommends workers have no more than 0.1 parts per million benzene exposure during a work shift. As many as 238,000 people may still be occupationally exposed to benzene in the US. A 2014 report by The Center for Public Integrity notes that American oil and chemical companies spent more than $36 million in one year to fund research that protects their companies' interests, including research on benzene. As outlined in the Safe Drinking Water Act of 1974, the Environmental Protection Agency (EPA) has set the maximum permissible level of benzene in drinking water (five parts per billion). In May 2014, the US Environmental Protection Agency estimated that five million Americans are at increased cancer risk from benzene and other carcinogens linked to oil refineries. That estimate does not include people exposed through their workplace. Following that report, California lowered the long-term benzene exposure level to 1 part per billion (from 20 parts per billion). A number of household products contain benzene, including glues, cleaning products, art supplies, paint strippers charcoal lighter fluid, cigarette lighter fluid, pesticides, processing film, adhesives, synthetic fabrics and more. Benzene has been found in soda and soft drinks since around 1990. Although benzene levels are regulated in drinking water and bottled water in the US, soft drinks are not so stringently regulated. The FDA has posted a list of benzene in soft drinks and other beverages. Many companies consider the addition of benzene to their products as a "trade secret" and are still not required to list it on the product labeling. This form of marketing may pose a serious risk to people who are unaware of the levels of benzene they are consuming. In July 2007 PepsiCo and other soft drink manufacturers agreed to a settlement in a lawsuit alleging their products contained cancer-causing benzene. According to Forbes magazine, the settlement involved PepsiCo, Sunny Delight Beverages Co., Rockstar Inc., Polar Beverages Inc. and Shasta Beverages Inc. Coca-Cola settled the suit in May and offered replacement drinks, and reformulated the affected products. If you or a loved one have suffered from cancer due to Benzene exposure, please click the link below to submit your complaint to a lawyer who will review your claim at no charge. Benzene from Gulf Oil Spill a Concern for Wor..
Presidential Panel Warns of Risk of Benzene C..
Benzene Found in Drinking Water and Even Soft..